Charlie and I, along with a group of other Cape Cod Innkeepers, were recently invited to tour the Audubon Long Pasture Wildlife Sanctuary in the Village of Barnstable. This was our first time at this Audubon Sanctuary and what an amazing place to explore. 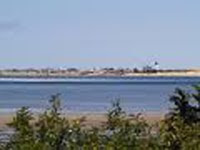 It is a spectacular 110 acres of nature trails, butterfly gardens, vernal pools, salt marshes, and breathtaking views of the dunes and Lighthouse of Sandy Neck; a barrier beach that protects Barnstable Harbor from the pounding waves of the open ocean. This little gem of a place is a nature lovers’ and a photographers’ paradise. What a perfect Cape Cod day we had for our visit. The sun spilled over the marshes and a slight breeze brought the glorious scent of beach roses mingled with that of other blooming native shrubs and plants. We were led on a walking tour by Ian Ives, the Sanctuary Director, that took us along a path through Spruce Forest where we strolled under oak, maple, and pitch pine trees, by American Holly trees, along Buttonbush Swamp, and into the wildflower gardens where milkweed and other plants grow that attract butterflies and bees. We watched as bees busily buried their tiny heads in the blossoms of plants extracting the nectar to carry back to their hives. We also saw, high up in the top of a pine tree along the Harbor Overlook Trail, evidence that a red tailed hawk had built its’ nest. 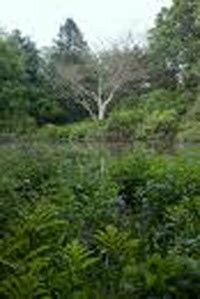 Within Long Pasture Wildlife Sanctuary is a sustainable farm with goats, pigs, and a very large white turkey. Volunteers help with the care and maintenance of the farms’ gardens and are invited to share in the yield. What a rewarding way to spend time learning about sustainable agriculture and how to exist and thrive in harmony with your natural environment. This year Long Pasture is offering kayak trips, led by naturalists, where you will explore the pristine waterways and rich aquatic life that draw people to Cape Cod. 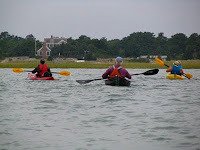 You need only bring your curiosity and enthusiasm; kayaks, paddles, and life vests are provided. Pre-registration is required so make sure you call ahead to 508-362-7475. The Visitors Center for Long Pasture is located at 345 Bone Hill Road, off Route 6A, in Barnstable. Admission is just $4 for nonmember adults and $3 for nonmember children aged 2 to 12 and also for senior citizens. This is the best entertainment value you will ever find. It is impossible in this small space to adequately describe this extraordinary place. Charlie and I are looking forward to many visits exploring this constantly changing natural habitat that captures the essence of Old Cape Cod. 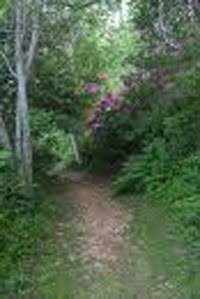 We hope to run into you along one of the trails. If you see us in a kayak, you may want to head in another direction.